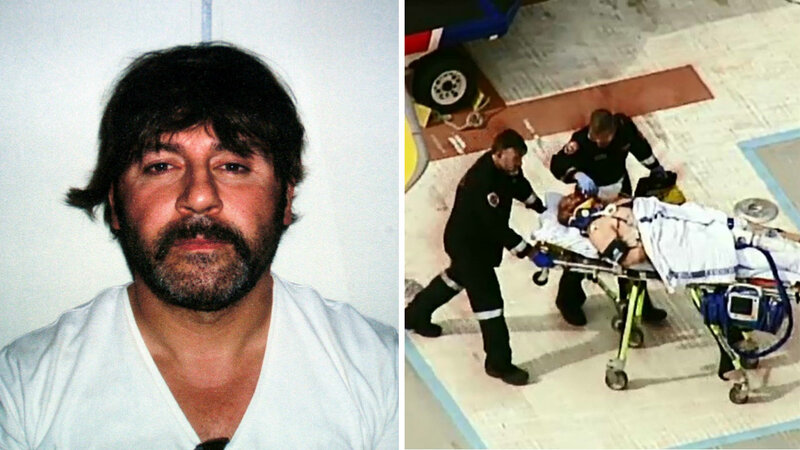 An underworld insider has revealed to A Current Affair what he believes may have triggered a grisly attack that left drug kingpin Tony Mokbel fighting for his life yesterday. True crime author Adam Shand, a confidant of underworld figure Carl Williams and the last to speak with him before he was murdered in Barwon Prison, said a front-page Herald Sun story referring to Mr Mokbel as “the enforcer” might have been enough to tip his enemies inside Barwon Prison over the edge. “When that story came out, a contact of mine spoke to someone who said, ‘oh, I think Tony’s going to find himself in a bother over that story’,” he said. “Because it’s certainly a reach for him to describe himself as an enforcer and he would dare to call himself that. I mean Tony was not a violent guy, he was always the guy involved in dialogue. Mr Shand also told A Current Affair the prospect of a crook like Mokbel getting out early would be too much to bear for many inmates. “Put yourself in the other inmates&apos; place. You got a bloke everyday that’s telling you, I’m getting out, you’re staying here, I’m getting out, isn’t it great? You know oh what about you, oh you’re staying here?” he said. A star-studded cast of legal heavyweights and high-profile journalists - who rubbed shoulders with the notorious Lawyer X and her criminal clients while she sold them out to Victoria Police - handed down their verdict on the biggest scandal to hit Australia’s legal fraternity on A Current Affair tonight. Dozens, if not hundreds, of convictions could come into dispute after it was revealed Victoria Police paid a high-profile gangland lawyer, widely known as Lawyer X, $2.8 million to hand over information about her clients. “I’ll never forget meeting Lawyer X in 2003-04, in the middle of the gangland war,” Mr Shand said. John Silvester, author of the bestselling Underbelly series, later made into a hit television franchise, said it was an unprecedented scandal to hit the legal fraternity, with speculation more lawyers have informed on their clients. “It’s got shockwaves which are going right through the system,” he said. David Galbally QC said no lawyer would ever advise Lawyer X that she could inform police of their client’s activities. “What I am confident about is that if she did seek legal advice that I’m confident that whoever gave her legal advice would’ve said to her that you are about to breach your ethical duties as a lawyer, and this will have consequences and you shouldn’t do it,” he said.